Houston researchers from these two research institutions analyzed the genomes of 37 patients suffering from Sézary syndrome and found that all these patients had mutations in certain genes that affect the signaling of T-cells and certain genes involved with cell division. One of the genes that was identified in this study is CCR4, which is already being studied to find experimental drugs that inhibit its mutations. Other genes identified include ZEB1 which is vital to the differentiation of T-cells in the body and was found to be deleted in over half of the patients studied, and the genes IL32 and IL2RG which are both found in the immune system and were overexpressed in the majority of patients. Along with studying these genes, the Houston researchers also studied the two T-cell receptors Vβ and Vα. The team found that these receptors were arranged differently in over 1/3 of the patients when the malignant T-cell clone expanded. More research is necessary to better understand this disease, but the research being conducted by these Houston researchers is opening up potential new drug targets to treat this cancer now that more is known about genes involved. Baylor College of Medicine is one of the 3 medical schools associated with the Texas Medical Center (TMC) in Houston. These 3 schools, along with 21 hospitals, 13 support organizations, 8 academic and research institutions, 6 nursing programs, 3 public health organizations, 2 universities, 2 medical schools, and 1 dental school make TMC the largest medical complex in the world. 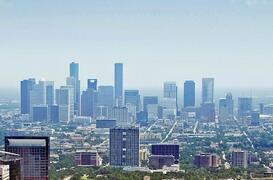 Life science researchers in this thriving Houston marketplace have the means and the need for the best and newest laboratory tools and technologies that will further their lab work. 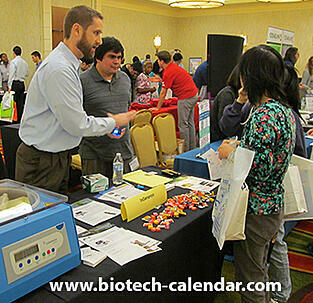 Biotechnology Calendar, Inc. holds an annual BioResearch Product Faire™ Event in Houston that gives lab suppliers the opportunity to meet with over 450 active life scientists. 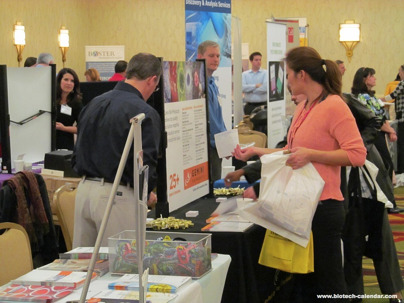 The 16th Annual BioResearch Product Faire™ Event at the Texas Medical Center in Houston, TX will be held on January 22, 2016. While in Texas, make the most of marketing opportunities and participate in the Texas A&M University marketplace in College Station. The 15th Annual BioResearch Product Faire™ Event in College Station will be held on January 20, 2016. Click here for more information.